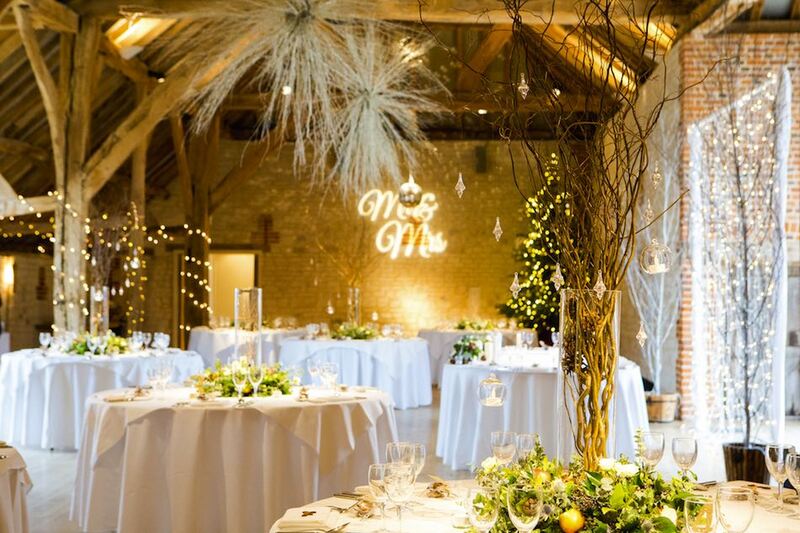 Summer is a busy time for weddings but there are a lot of pros of a winter wedding. 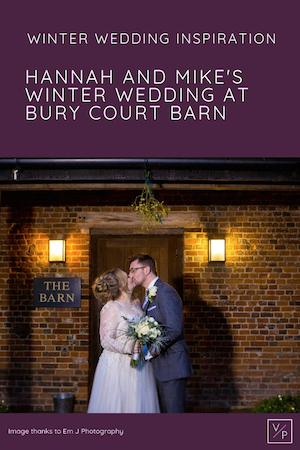 On December 10th 2017 we were thrilled to film Mike and Hannah’s wedding at The Barn at Bury Court near Farnham, Surrey. 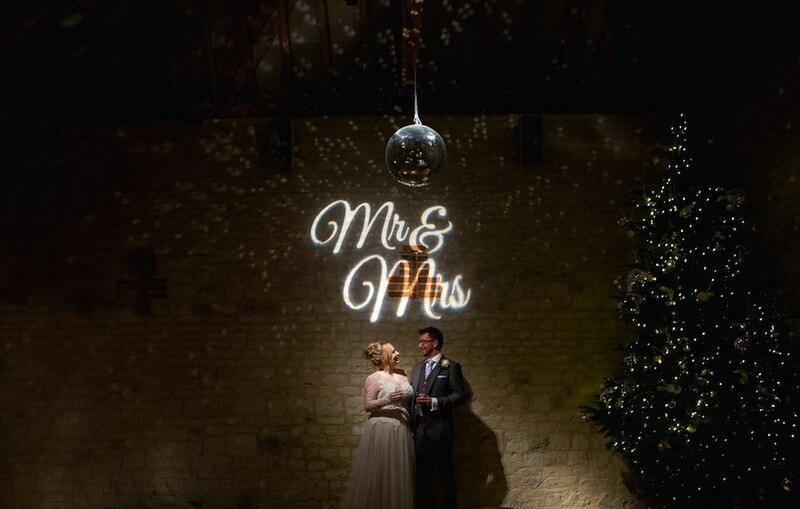 Being so close to Christmas their wedding was filled with gorgeous winter details and we even had a small flutter of snow on the day! 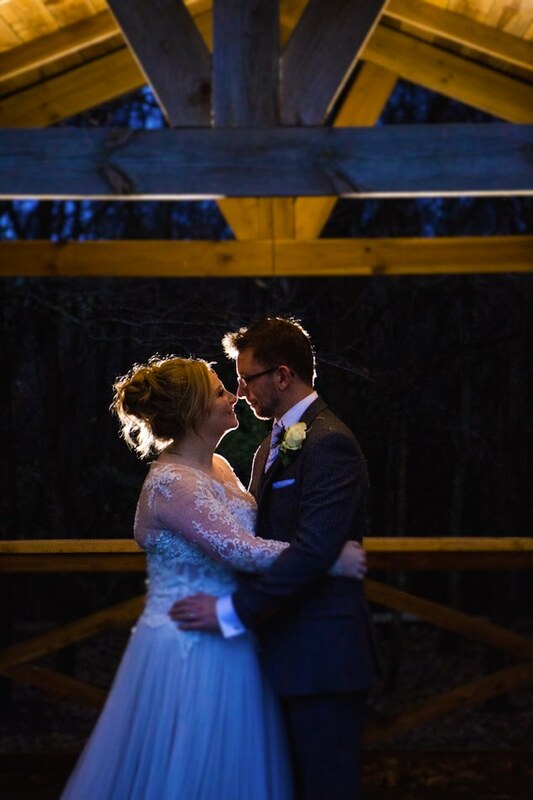 A winter wedding often means there is a cosy atmosphere inside and can make for some gorgeous wintery photographs too. We met Hannah and Mike after filming Hannah’s sister Sarah’s Harry Potter themed wedding in March 2017 which was so much fun and we were very excited to share their special day with the family again. Hannah’s kind word after receiving their films made us all emotional and very grateful being able to do a job we love. “Veiled Productions filmed my sister’s wedding back in March 2017 and Rachel did an such an amazing job! I hadn’t ever thought about filming until I watched my sister’s. Everything Rachel captured was truly stunning and such a beautiful keepsake! I was so excited after watching hers that I just knew I had to have Veiled Productions for my own wedding in December. Knowing that a winter themed wedding was already magical it its own right, I just knew that having Rachel video mine would be the icing on the cake – and it was! Everything that she had captured, was totally stunning! You wouldn’t have even noticed she was there and I certainly didn’t see all the cameras she had propped up. She was so discrete and yet managed capture everything to the tiniest detail! The day started for me filming Hannah and her bridesmaids getting ready in the suite at Bury Court. Some parts of the UK had over 5cms of snow that weekend. In Surrey we were lucky enough to get a flurry too. This set the scene for a gorgeous winter day but didn’t cause any problems – perfect! The cottage, attached to the barn, is ideal for getting ready before the day with lots of character in the bedroom and a separate kitchen. Totally Flawless created everyone’s hair and make up and the girls looked stunning. With Hannah’s dress from The Wedding Workshop hanging proudly in the doorway of the bedroom we were all admiring it and couldn’t wait for Mike to see Hannah wearing it. The men looked super smart in their suits from one of our favourites The Vintage Suit Hire company based in Bedford. With thicker fabric, the suits are brilliant for keeping warm in the winter. It was wonderful working alongside Emily from Em J Photography again who, like us, loves capturing the natural moments from the day and is lovely. 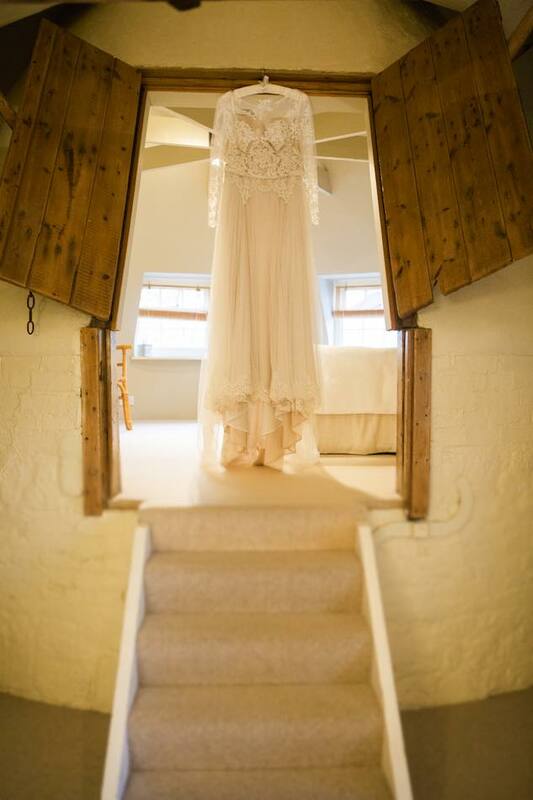 The civil ceremony took place at the bottom end of the spectacular barn. The low ceiling and lights created such a cosy winter atmosphere. The flowers and decor created by Rhiannon V Martin Flowers took everyone’s breath away. Bury Court Barn supplies a huge Christmas tree during the festivities. Situated at the opposite end of the barn really added to the wow-factor. As the new Mr and Mrs Punchard walked down the aisle everyone threw confetti. The newlyweds faces said it all! Emily and I went outside to capture them just as darkness fell. The lights from the barn really added to the romance. Photos at night are certainly an advantage of a winter wedding as it’s much easier when it’s dark so early. Hannah and Mike’s smiles were infectious and already I was excited to edit the films. The barn looked incredible with all the Christmas decorations. The wedding breakfast was so delicious. We were so grateful to Hannah and Mike for including us. The evening entertainment kicked off with cutting the cake followed by the first dance and then a Dad and daughter dance. There was so much love and happiness in the room, with a little bit of silly, a perfect night! Fun continued in the photo-booth too. The video footage from a photo-booth is priceless and I often find it hard not to laugh behind the camera! Thank you so much for having us capture your special day Hannah and Mike. Wishing you a lifetime of happiness together. Having a winter wedding and looking for a videographer? Contact me below, I’d love to capture your special day. Previous Post Destination wedding – yes or no? Claire Clarke Weddings shares advice about getting married abroad.